3 of the Best Ways to Organize Legos Without Losing Your Mind! 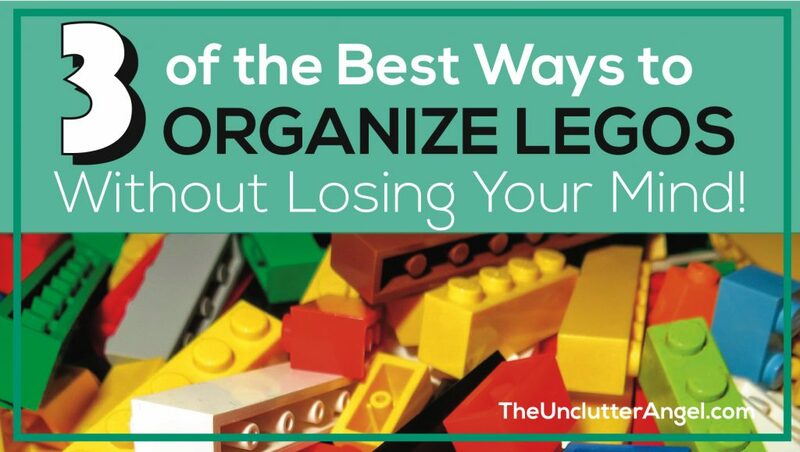 Knowing the best ways to organize Legos can make parents as happy as the children who play with Legos! How many times have you got a Lego stuck in the vacuum or worse yet, stuck on the bottom of your foot! Even more tragic is a set being put together for the 127th time only to find out that there are missing pieces! The size of your space. How your child likes to sort their Legos, by shape, size, or color? Below are some simple and time saving solutions to help you, and your children, get all the Legos organized. Never worry about stepping on a Lego again! There are so many shapes and sizes of Lego pieces, it’s no wonder that pieces get mixed and lost. 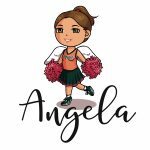 Organizing by specific types, including color, shapes and size, will make it easier for the kiddos to find pieces when they are getting creative with their building. Storing Legos by color can be easier and faster to sort and organize. While searching for the exact shape of block needed when building, this system may make it easier. If Lego containers have a mixture of colors, shapes and sizes, it can take more time searching for the perfect piece. This option is good for those who have a mixture of Lego pieces and like to build freestyle. While searching for the exact pieces needed when building, having all the same shapes or sizes in one container can make searching simpler. Maybe add a photo to the front of the container if it has a lid. 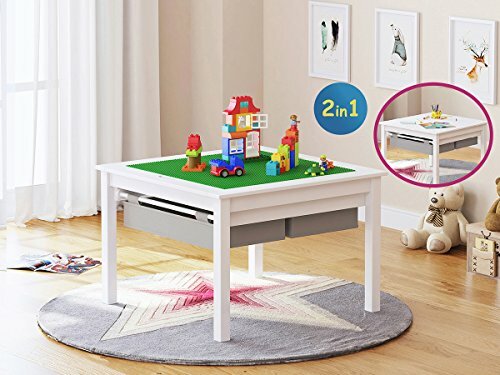 Some kids who buy pieces a la cart or have mixed up their large sets might like this system. If your child has multiple Lego sets, this option may be good for you. Keeping all the pieces together that belong to one set, can save time. Looking through mixed up Lego containers can take more time when trying to collect the pieces you need for a set. Keep them in their original boxes and put them away each time after playing. Store in plastic containers with labels. 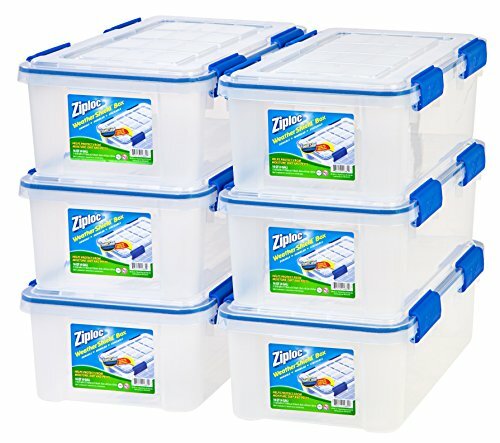 Load into large ziplock bags, and all sets can be kept in a larger bin. Using an inventory printable can help keep track of the pieces for each set, especially if you don’t have the original Lego manual. On the Lego website you can look up instructions based on the set name and product number. If you lost the directions, no problem! You can find your instructions HERE! Containers make sorting and organizing easier. They also make it easy for clean up and for moving pieces to a different location. 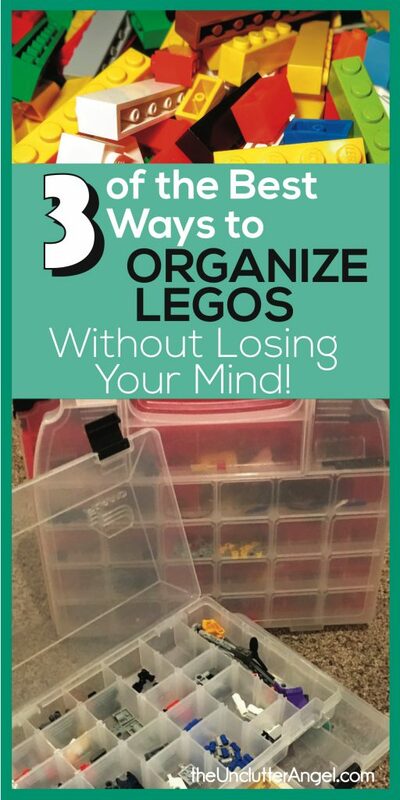 Here are some ideas to help you sort, organize, and keep your Legos organized! My husband helped our youngest son sort his Lego sets into clear containers. 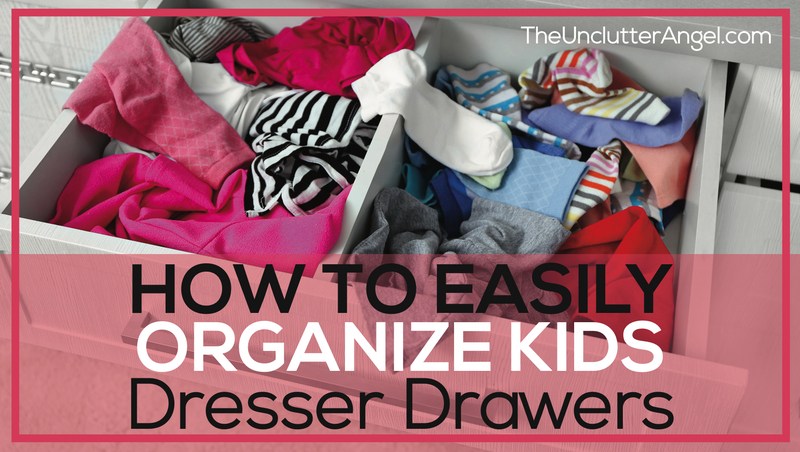 Making the organizing system easy and simple will increase the chances kiddos will keep up with it! 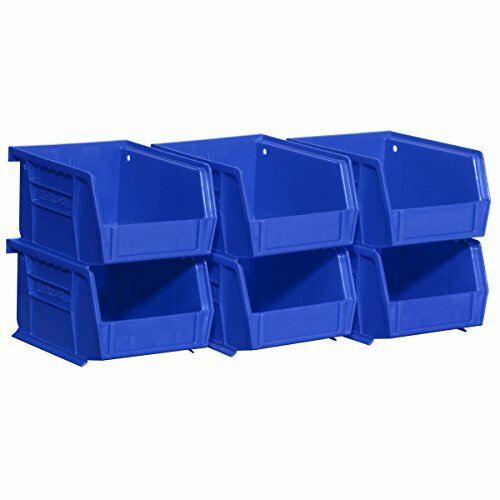 Colored Utility Bins – You may have seen these being used in garages for screws, nails and other items in a workshop. It’s cool that the bright colors are the same shade as Legos. They are stackable and legos can be taken in and out easily. You could label each tray to designate the type of Lego pieces. 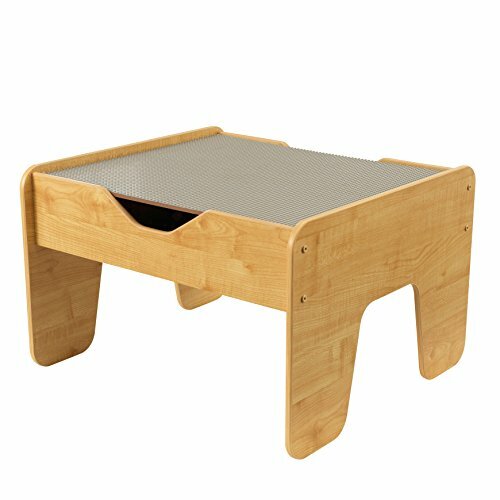 The downside to these trays is the pieces can get easily get mixed up, so have a good system the kids can keep in place. These bins come in red, blue, yellow and clear. 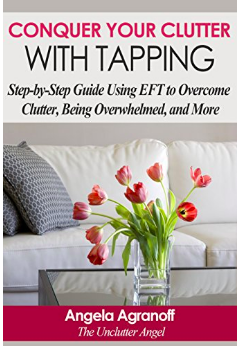 You can stack them, line them up on shelves, or hang on hooks on pegboards. I like that my son can move his bins to the floor or to his play table. He keeps his bins on small shelves on his play table. 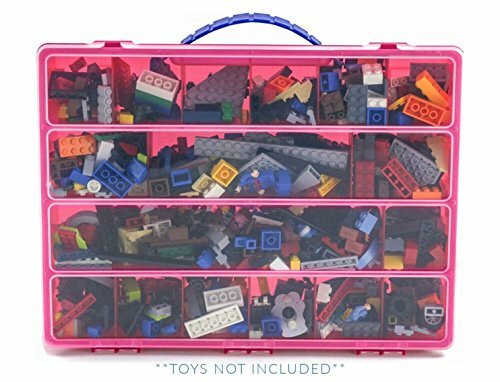 Larger Containers for Sets – You can either break down larger Lego models into chunks or break them down completely. Place in containers with the directions inside the box. You can label the container and tape a small photo of the set to the front. Do you find Lego pieces in different parts of your home? 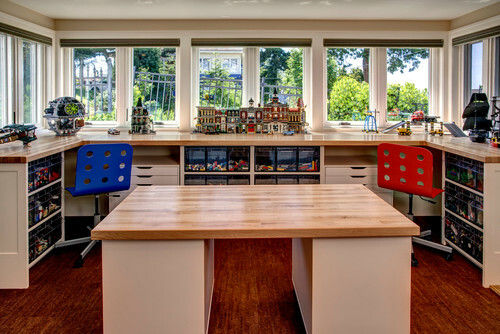 Designating specific locations where Legos can be used, or having them stored for easy transport around the house can make clean up easier! 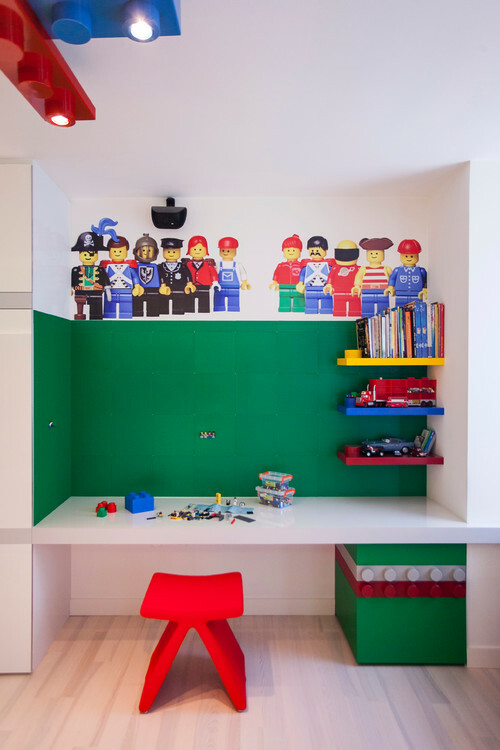 Creating a nice set up in your child’s room will encourage them to keep Legos in their room. Tables with storage can help to save space, giving them a space to build plus the storage underneath. 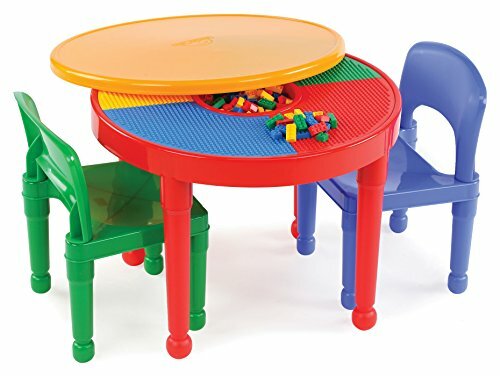 The tables can also work in a living space or play room too. If you have a table that lines up with the wall, free standing storage may be a good solution too. 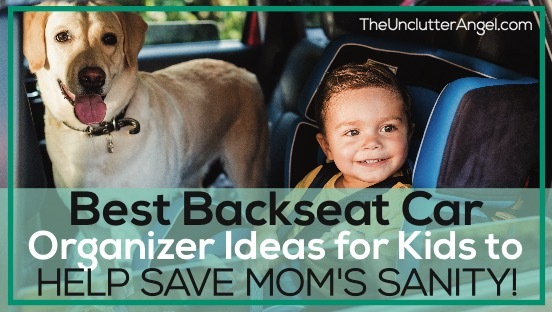 This includes the super cool organizers from the home supply store. 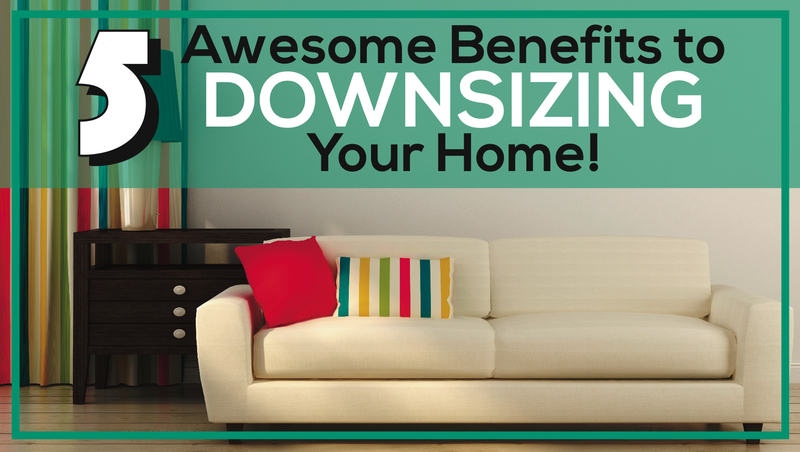 Depending on the size of your living room, maybe you would prefer to let your kiddos play in the main area. My only caution would be if you have animals or little ones that you have a routine of picking up the Lego pieces. A challenge with having the building space in a main living area is if your kiddo likes to put together sets. These sets can take up lots of space when built and to display. I’d rather not worry about losing pieces while on a family trip or a model getting crushed. But if your children really enjoys playing with Legos while on vacation, here are a couple ideas. Storage box with lid – To avoid losing pieces, like when you are traveling by car, a contained box can be easily stacked with the luggage. This mat comes in different sizes and colors. They all cinch up with handles to take on the go! 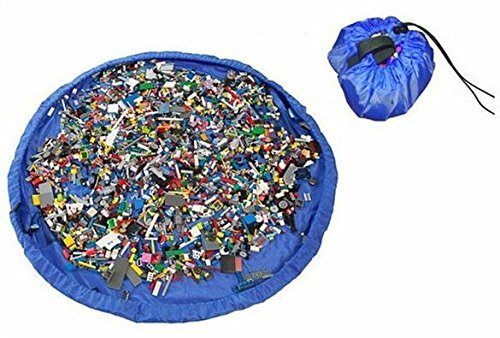 Handy tote bag is a unique way to hold Legos and gives the kids space to play. It also makes clean up easy! When it’s bundled up, it can be put in a suitcase or just carried to Grandma’s house. These mats come in many sizes and colors. I know my boys enjoy building and playing with Legos. Even though their Lego sets are used on a regular basis, doesn’t mean that the pieces have to appear to have blown up in the room! Decide which of the ways to organize Legos would be easiest for your child to keep up with. 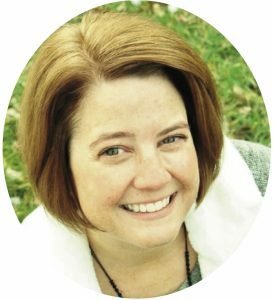 It may take a couple different systems to make it stick, since everyone operates differently. Have fun organizing and building! My goodness is this ever needed ! Stepping on Legos is so painful!